Seoul says North Korea has loaded a second intermediate-range missile on mobile launchers hidden in an unidentified facility near the east coast. Nonetheless the South seems calm about the Pyongyang maneuvers, while some Western powers grow anxious. 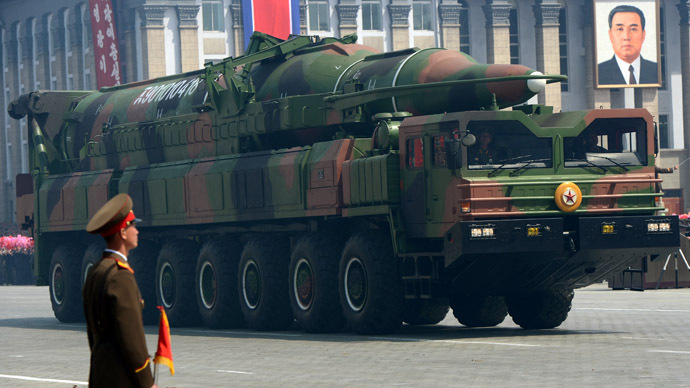 Earlier this week it was reported that the northern Communist state moved medium-range missiles to its east coast. In response, the US announced it was strengthening missile defense system to its base on the Pacific Ocean island of Guam. 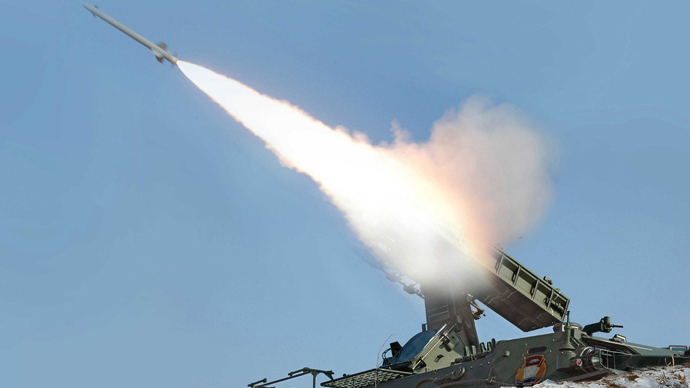 South Korean Defense Minister Kim Kwan-jin dismissed Japanese media reports that North Korea’s arsenal was a long-range missile capable of striking the mainland United States. 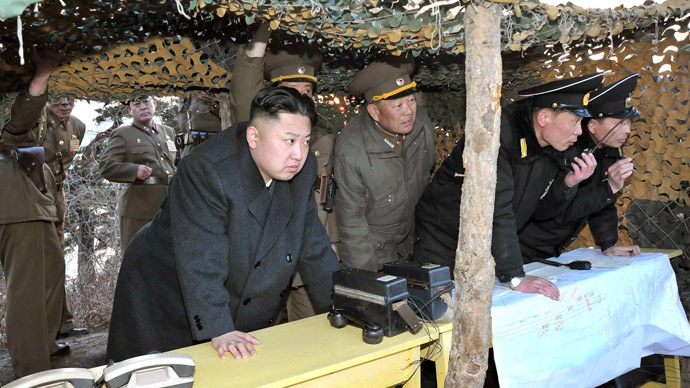 He also proposed that the maneuvers made by the North could be “for testing or drills". The possibility of a full-scale provocation from Pyongyang is small and the threats are rhetorical, Kwan-jin said. Meanwhile, the UK apparently sees more than just rhetoric in the North Korean warnings. Prime Minister David Cameron said it would be "foolish" for Britain to renounce its nuclear upgrade program in the face of threats from North Korea. 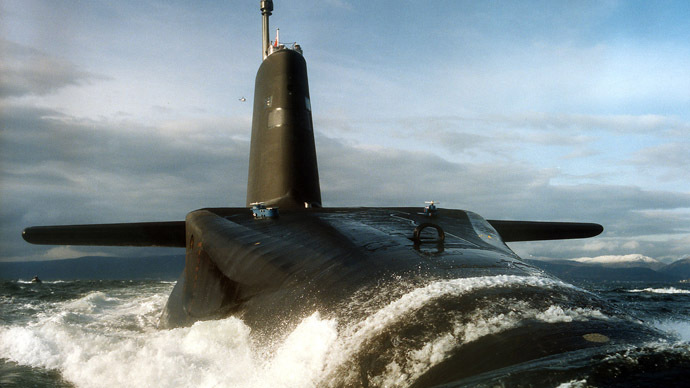 The prime minister stated that the UK needs an “ultimate weapon” to be able to defend itself from the growing threat of nuclear attack. The statement was ridiculed by many as the UK and North Korea are separated by nearly 9,000km, while the missile's potential range is less than 7,000km. Even Cameron's own supporters doubt the credibility of his recent assertions, RT`s contributor Afshin Rattansi said. 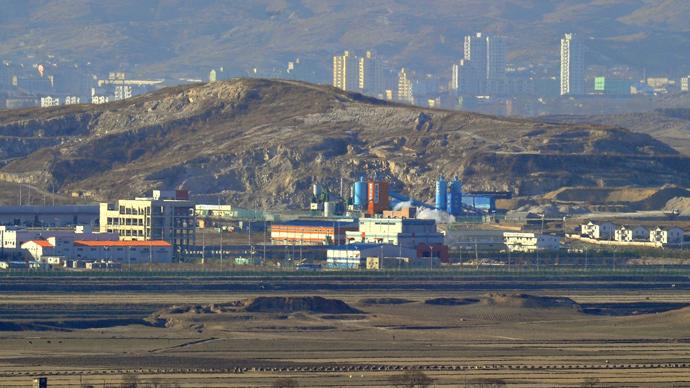 “More than one in four of the children in this country are living in poverty, and yet this US$150 billion is required to fend off threats from Iran and North Korea!” Rattansi said. Labor Party MP Jeremy Corbin stressed to RT how flawed the logic is to purchase a new missile system when the country is crippled by measures to pull it out of an economic crisis – especially when there is no concrete proof that having a weapon is directly related to security. One may naturally ask if Britain could become a target of hostile regimes who potentially dabble in nuclear weapons themselves. Corbyn’s thoughts on this clearly go in the opposite direction, stressing that one must look at the reasons for why they are a target, instead of rushing to demonize another and raise the stakes with own threats. However, so far the embassy is working to its regular schedule and the capital appears calm and routine, a press secretary for the diplomatic mission in Pyongyang, Denis Samsonov, told RT. Russian diplomats are monitoring the situation closely, he added. Russia’s Foreign Ministry also urged not to exacerbate the tensions. “We find it absolutely unacceptable to build up war hysteria,” the official statement read. Tensions in the region have been spiking since February when North Korea carried out its third nuclear test. The launch was condemned by the UN and numerous world powers, prompting the UN to approve a new round of sanctions in early March. Pyongyang reacted to sanctions by threats to launch a nuclear strike on the US. The North was also highly dissatisfied with the annual joint military drills between South Korea and the US.